Liverpool can count on manager Juergen Klopp to keep their feet firmly on the ground if they begin to believe the hype that has accompanied their unbeaten start to the Premier League season, midfielder Georginio Wijnaldum said. 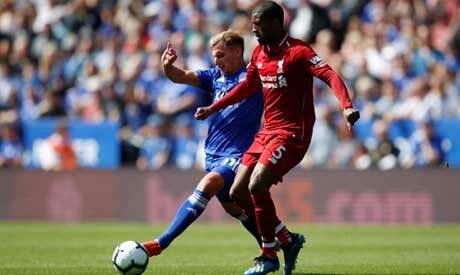 The table-topping Merseyside club are the only remaining unbeaten side in the league after champions Manchester City suffered their first defeat of the season against Chelsea at Stamford Bridge last weekend. Liverpool's solid defensive displays and steadily improving attack have raised hopes among fans that they might emulate Arsenal's "Invincibles" of 2003-04, who lifted the title after going through the season undefeated. "I don't really think we are invincible and, if we think that, we have a manager that would put both feet on the ground," Wijnaldum told the British media. "We know we have to do a lot to not lose games and even more to win it. We know we have to give a good performance every week to continue the run we are in." Liverpool take on a misfiring Manchester United side on Sunday with Jose Mourinho's sixth-placed side looking to keep pace with the teams above them. Wijnaldum said Liverpool would not underestimate United despite their struggles this season. "It is going to be difficult," the Dutch international said. "Things can happen, everyone can have a bad season... last season, with the same players, they finished second. One season goes well, one season a little bit more difficult. "It doesn't mean they have a bad team. They have good players, a good manager, and they know how to manage games and win games -- or not to lose games."